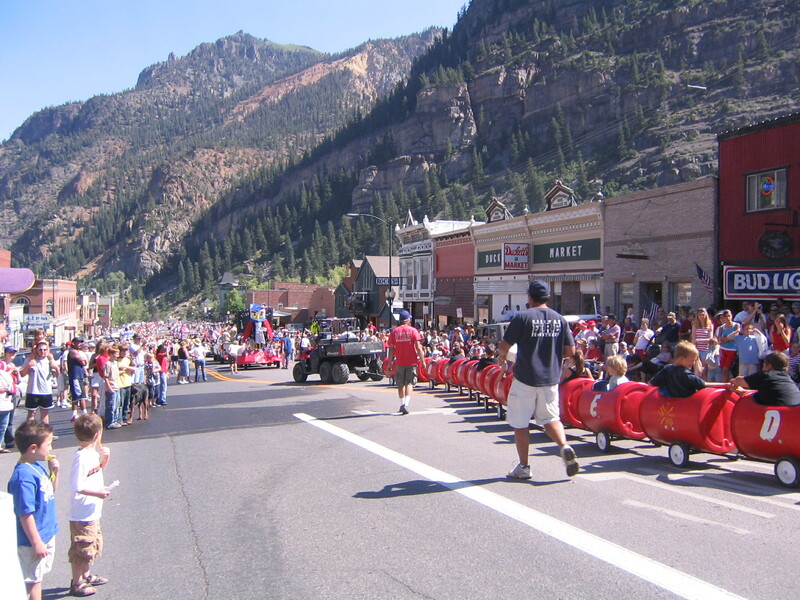 The 4th of July in Ouray is total madness. We started by going to a crack-of-dawn pancake breakfast to raise funds for the local search and rescue teams. Stellar pancakes and the whole town comes out so if you aren’t there early, well let’s just say the last few people got only the leftover nubbins of some of the best bacon I’ve ever had. 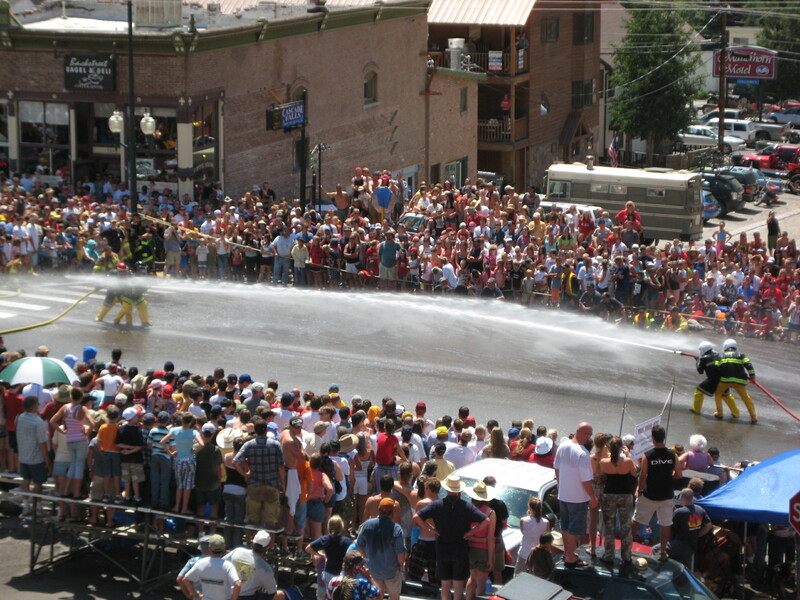 Following the breakfast there was a dinky, yet somehow charming, little parade and then finally, the fire hose fights. 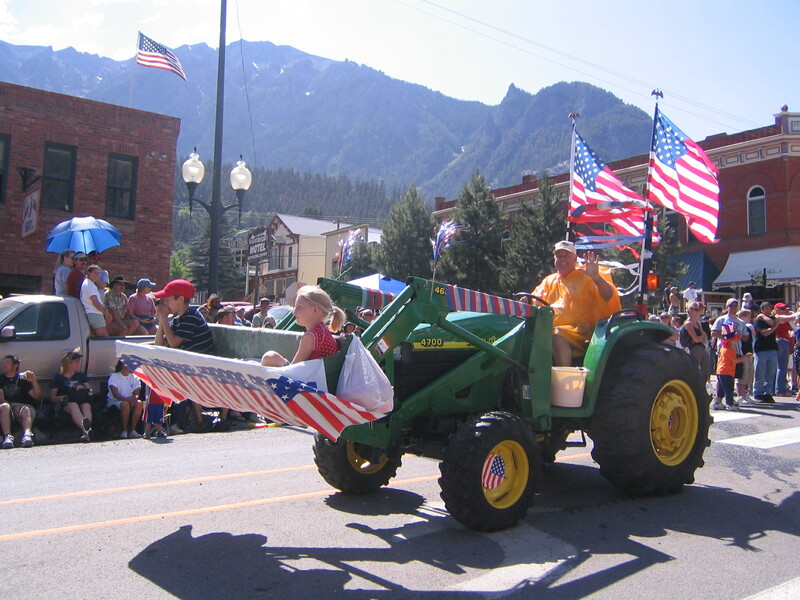 One of the more popular "floats"
The parade route was packed! 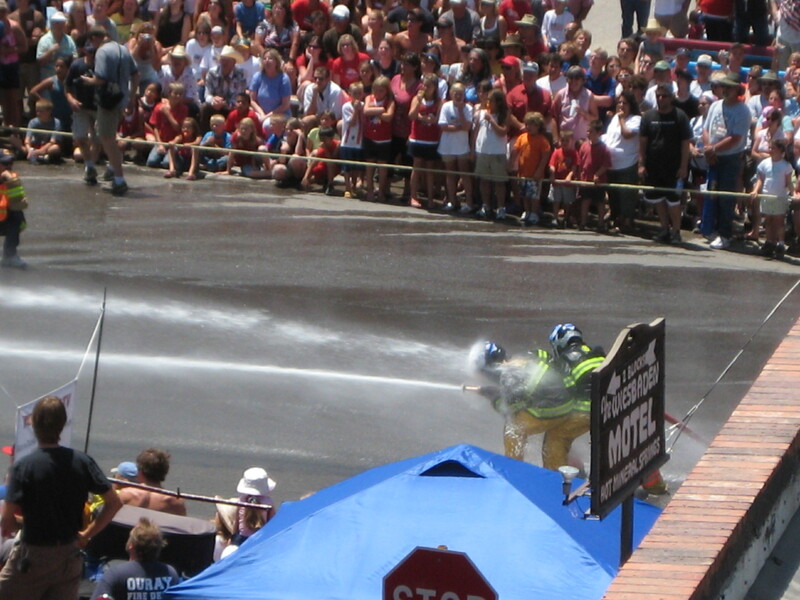 It’s a tradition that every year the fire department recruits teams of people who want to compete in a reverse tug-of-war of sorts. The teams of two suit up in their fire-gear complete with full coverage helmets and duct tape around their wrists to keep their sleeves down. 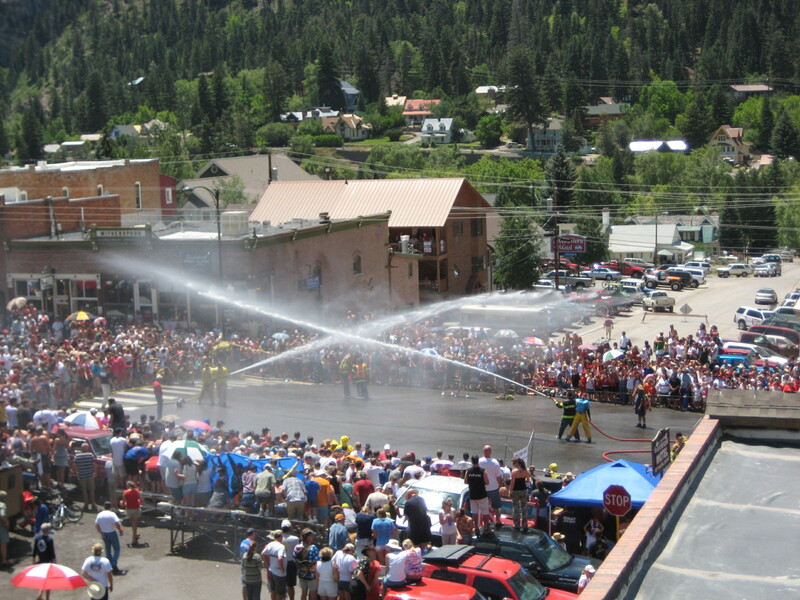 The whole town gathers in the main intersection to watch the teams attempt to blow each other off the road with the fire hoses. It’s got to be one of the craziest things I’ve ever seen, so I’ve uploaded some pictures and clip of it to youtube for your viewing pleasure. Soaking the crowd before the game begins. These guys were getting pounded! I can not stop reading…..everything ready to start supper and all I want to do is read “The Parallel Life”…. all I can say is WoW….the wedding ritual was just thrilling and amazing and I can hardly wait to read more of your wonderful adventure…..